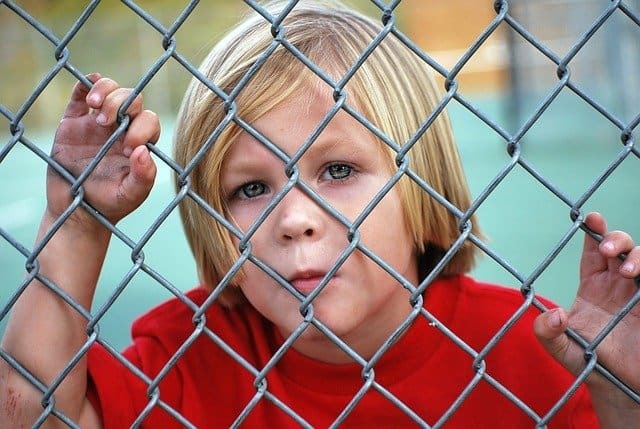 Millions of children in this world have ADHD (Attention Deficit Hyperactivity Disorder) and show symptoms like impulsivity, inattention and hyperactivity. While there are several prescription drugs are available in the market to control the symptoms of ADHD, most popular drugs like Ritalin often have unwanted side effects. Ritalin may cause permanent nerve tics as well as growth retardation in kids by interfering with the cycles of growth hormones secretion. Research in the last 3 decades has found that inhalation of Essential Oils can significantly help children suffering from this condition. Essential Oils are the substances that are able to cross the blood-brain barrier to heal the brain directly, making them an effective treatment option for ADHD and other mental disorders. The two images below show 16 facts about ADHD. 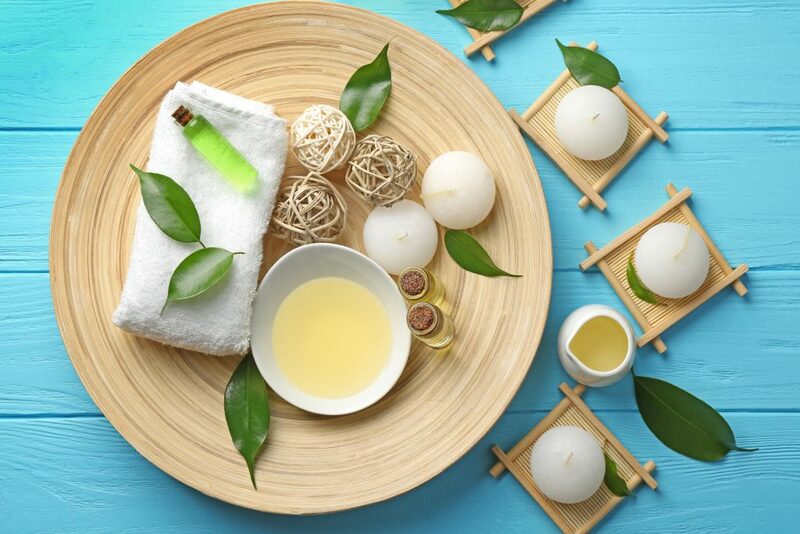 Research has found that Ylang Ylang Oil has sedative effects that are measured by the decrease in blood pressure and pulse rates. In addition, it can considerably elevate the attentiveness and the feeling of content if inhaled in right amounts. Ylang ylang will be a great treatment alternative for those suffering from ADHD and problems like inattentive behavior. Lavender: I use this oil for its qualities of serotonin and noradrenaline reuptake inhibitor. These are the qualities I have found useful in the treatment of problems like ADHD and depression. Additionally, there are several compounds present in Lavender that have sedative effects. This Oil has also been broadly analyzed for its soothing effects. Studies have reported that Lavender Oil can bring about soothing effects, improved moods, and better concentration. The soothing effects of Lavender Oil are there due to its ingredients like linalool and linalyl acetate. Lavender Oil is also known to improve the performance and minimize mental stress. Scientists have found that inhaling Lavender Oil elevates the level of beta waves in the brain, allowing the brain to unwind easily and improve its cognitive performance. One of the many benefits of Lavender Oil is that it helps in calming the mind and improves the concentration. There’s a very encouraging evidence supporting the fact that Cilantro Oil helps in addressing the concerns related to the presence of excess heavy metal toxins found in children suffering with behavior disorders like ADHD. Cilantro Oil has high anti-depressant, anti-microbe, anxiolytic, anti-inflammatory, anti-oxidant, lead-cleansing and neuro-protective qualities. One study examined lead-caused alterations in test subjects and concluded that administration of Cilantro Oil extracts reduces the extent at which lead gets deposited in the body. Another study confirmed that the lead-protective qualities of Cilantro Oil could cause substantial decrease in the lead concentration levels of the body. Cilantro Oil suppresses the lead content in the body through a process called chelation. Cilantro Oil can also help you get rid of mercury as it is known to binding itself with the mercury. Melaleuca Oil is highly regarded for its anti-fungal, anti-viral and anti-microbial qualities. Inhalation of this Essential Oil can improve the defense mechanisms of the body by growing its immune cells. This Oil is also known to help patients with ADHD due to its anti-inflammatory effects, help to the defense mechanisms of the body by growing its immunoglobulin cells, which are often jeopardized because of gastro-intestinal problems, and anti-yeast and anti-microbial affects that suppress the clostridia and candidiasis overgrowth, which is often found in patients suffering from ADHD disorders. Cedarwood Oil is probably the most ancient of all of the Essential Oils. It helps you to oxygenate the brain, resulting in clearness of thought. This Oil comes from the Cedar tree and is known to activate the limbic region of the brain, which is responsible for balancing the feelings. Additionally, it stimulates the pinneal gland, which can help regulate melatonin. Furthermore, Cedarwood Oil has a soothing effect, especially when diffused into the air. Studies have concluded that this oil could effectively treat ADHD due to its soothing and cleansing qualities. Whenever I feel depressed and low, I just diffuse six or seven drops of Cederwood into the air. It’s not a miracle, nevertheless it helps me to feel encouraged and concentrate on my work. You can also use this oil on your skin for the same effect. Some people use Cedarwood just for its great smell. It can make your entire premises smell like a forest! Like citrus fresh, it’s also an excellent air freshener. 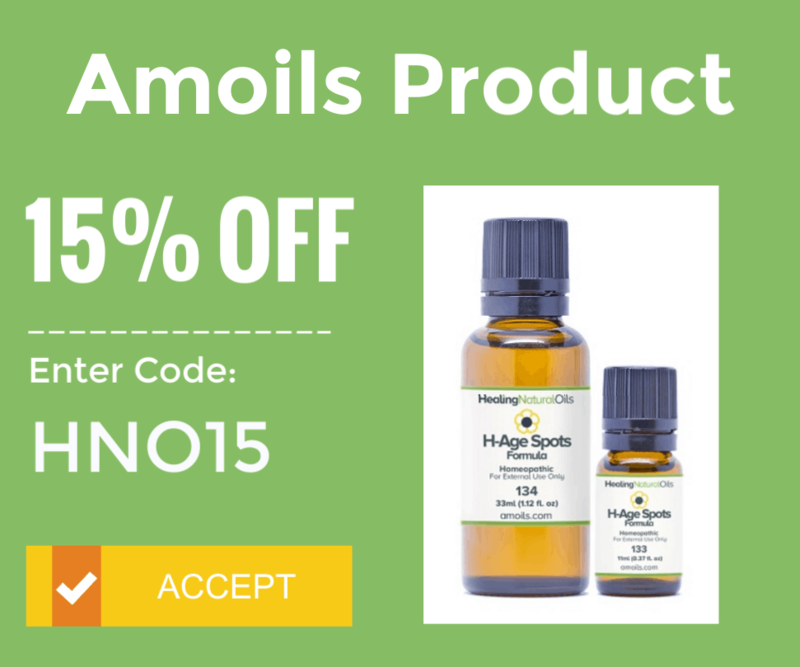 Vetiver Oil is the Essential Oil that is talked about, when it comes to management of ADHD. Vetiver is basically a grass that has a branched root. This root is used to produce the Essential Oil through the process of distillation. Vetiver is grown in many regions due to its anti-erosion effects on the soil. Its widespread roots will help to hold the soil together and stabilize the land. When used on humans, this same stabilizing quality helps them to not fall apart emotionally. Vetiver comes with an intense “grounding quality”. It allows us to stay in contact with ourselves and feel the needs of our body. It’s also good for individuals who use their hearts more than their brains. In addition to helping the rational people in making their lives better, Vetiver Oil can help those that feel nervous, tense or exhausted. It releases the tension and provides you with strength, energy and re-growth. Due to its warm, deep and adopting quality, it will help you in becoming more calm and tolerant towards yourselves, your sorrows, your emotional issues and towards your environment. This is what is required for overcoming problems like ADHD. The scent of Vetiver Oil is so strong that you just need a little bit of it. About 1 drop of Vetiver Oil in 50 ml carrier Oil or alcohol is going to be enough. In order to thin the Oil and have easy access, you can warm the bottle for 4-5 minutes. Eastern orthodox priests use Frankincense Oil in their worship. The different Oil blends they use include Frankincense Oil as an essential ingredient. Just like Cedarwood, this Oil activates the limbic system, which is the memory center of the brain. Additionally, it helps in stimulating the pituary, pineal and hypothalamus glands. Cypress is a tree of the Mediterranean nations, which grows straight into the heaven, with a clear form that will not require any cutting of branches. This is a naturally organized and structured tree. Being naturally organized and structured is what most of the people suffering with ADHD need to be. One can benefit from such characteristics of this tree by using the Essential Oil derived from Cypress. Being a tree with strong YANG character, Cypress allows you to be structured, whether it is about the feelings or the jobs you have to finish. It clears your mind of unnecessary ideas and offers emotional stability. Cypress Oil will also help you calm down when you are nervous and tense. It dries the tears and offers comfort, when emotions take over. It will hold you together when you have a feeling of melting into tears. Cypress can also be useful for ADHD patients that are distracted and prone to forgetting things and whose minds are always jumping from one spot to another. Cypress Oil will help you in bringing your ideas and dreams into reality as it helps in making decisions. For those that are hyperactive and want a rest – Cypress Oil will help control and tame your emotional reactions. It’s believed that the Greek goddess Aphrodite gave Rosemary Oil as a gift to the humans. This plant is a symbol for loyalty, remembrance, friendship and love. Rosemary Oil has already been used in several religious rituals by the cultures of ancient Egypt and Greece. In addition, these cultures have effectively used Rosemary Oil in healing procedures. When it comes to getting relief in conditions like ADHD, Rosemary is the Essential Oil to use. In ancient Rome and Greece, students used to wear garlands of Rosemary on their foreheads, for better concentration. It can help those that are not able to study due to their hyperactive nature. Rosemary Oil also improves the speed and precision in learning and studying for the exams. This Oil is known to offer immense stability, both physically and emotionally. It will help you emotionally when you are experiencing mood shifts or when you feel yourself drowning in emotions. This Oil can especially be used in instances when there’s hardly any time and space for dealing with emotional issues and there is an urgent need of being more rational and practical. Rosemary Oil is also good for the nerves, whether the problem is mental or there is a bodily nerve discomfort. In addition to that, using Rosemary Oil offers support to the spine making us more strong and balanced. In essence, Rosemary Oil is like a friendly voice saying: “Yes, you can do this” and offering self-confidence and courage. 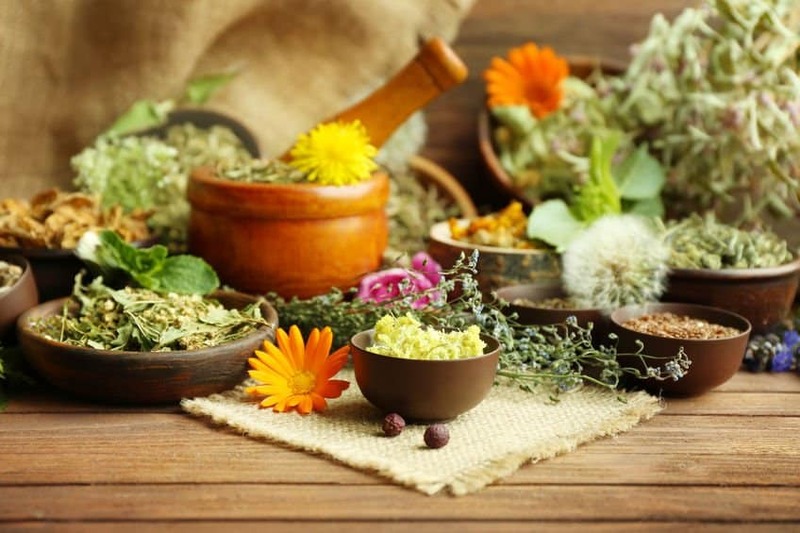 Natural Remedies For The Best Possible Relief Of ADHD? Past research has shown that aromatically using one Oil at a time, 3 times in a day, for one month is very beneficial in the treatment of ADHD. It’s thought that the inhalation of Essential Oils can settle the brain waves in children suffering from ADHD and make them normal again. With Lavender Oil, Cedarwood Oil and Vetiver Oil increasing the performance of ADHD in children by 53 percent, 83 percent and 100 percent respectively, a significant improvement can also be seen in the behavioural patterns and scholastic performance of the children being treated with Essential Oils. Rubbing Vetiver Oil at the base of toes, where brain reflexology points exist, can help control impulses caused by Attention Deficit Hyperactivity Disorder (ADHD). In brain scans, Vetiver Oil was found to be most effective giving the best possible results. How To Make Your Own Essential Oil Blend For ADHD And Other Related Problems? Massage 2 drops of Lavender Oil with 8 drops of Sweet Almond Oil round the feet, shoulder and chest of the person suffering from ADHD disorder. This can help him relax and get more sleep. Lavender Oil isn’t just an Oil which is soothing but additionally it is an energy balancer making it suitable for use by anybody. Cedarwood is recognized as a holy Oil in Christian traditions. This Oil has high levels of sesquiterpenes, which is a chemical substance that stimulates the mental synergy and thought process. This Oil can be applied around the temple and the neck, breathed in, and rubbed around the brain stem present at the bottom of the skull. Make sure to skin patch test first on your arm before using. In addition, use it with a base Oil like sweet Almond Oil in the ratio of 3 is to 8. Add 1-2 drops of Vetiver Essential Oil with 8-9 drops of Sweet Almond Oil and massage into the toes. Massage, structure and relaxation workouts are all useful and natural techniques to use if you are trying to provide your child with a calm and relaxed environment. Kids with Attention Deficit Hyperactivity Disorder (ADHD) are attracted to new activities, change and adventure. This tendency should be balanced with the opposite: activities that are soothing and relaxing. Your child needs regularity and structure to counter his natural inclination towards chaos. There should be a fixed time for homework, exercise, eat, relax, retire for the night, and wake up to begin a new day. Adding a complete body or even a foot massage to the bed time routine of your child could be another fantastic way to help calm your hyperactive child. Human touch has very effective emotional and physical benefits. There are numerous Essential Oils to pick from that have unique relaxing qualities. Not every Essential Oil is meant to be used directly on skin, so do your research prior to starting use. Using Essential Oils is a natural way to treat the symptoms of ADHD. There is no need to resort to the use of artificial methods for achieving the desired relief. While these Oils eliminate the symptoms of ADHD, they make you a much sharper individual who can focus on the task at hand. Some Essential Oils are known to cause itching in some individuals. 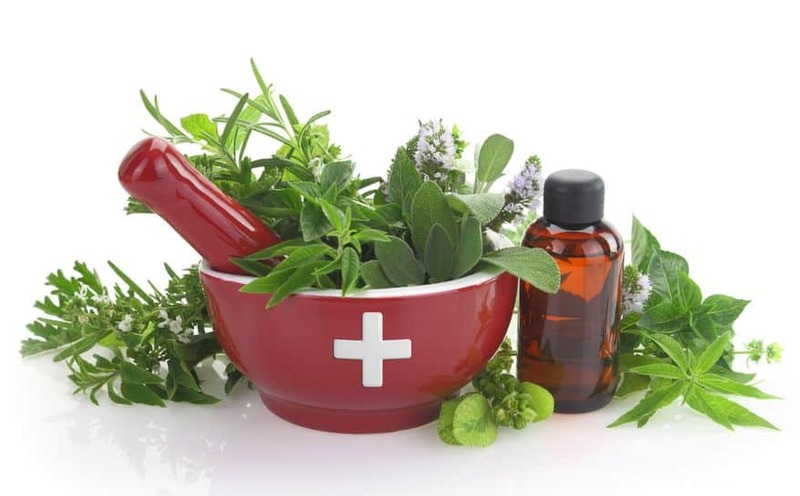 If you have a sensitive skin, make sure that you do not use Essential Oils before consulting a physician. If you need help with concentration, staying focused & organized, emotions, hyperactivity & restlessness, click here to read more about my Essential Oil Blends. Essential Oils have brought lot of peace and pleasure into the lives of those that are suffering from ADHD. They help them relax and calm down whenever there is a feeling of stress and anxiety. Additionally these Oils help them settle down both physically and mentally so that they can sleep peacefully. These Oils likewise assist in focusing better so that ADHD sufferers can pay attention to things they find boring. Most of the affected children are responsive to smell and like the aroma of Essential Oils. The signs and symptoms of ADHD are workable without the use of drugs. It doesn’t seem sensible to treat those symptoms with medicines that can cause plenty of other health issues. Fortunately, Essential Oils are there to help you with your problem of hyperactivity and make you feel like never before! 8 Ways On How To Use Essential Oils For Maximum Health Benefits! My 54 year old husband suffers from nervous leg syndrome, he is having trouble falling asleep and staying asleep. He is also very hyper and always super busy. almost like ADHD. I heard that the vetiver oil would be good for all those symptoms. What else could I mix it with to help him. You can use vetiver, bergamot and lavender diluted in a carrier oil. You can refer to Jaime’s comment of 16 Oct 2017 of the blend that he is using for his son. I bought Frankincense oil for my 9 year old daughter who has ADD focusing issues. I ordered a essential oil necklace for her is this ok to use? How many drops? Yes, you can use the necklace for a 9 year old. Please read the instructions on how many drops the necklace can contain, perhaps 3-5 drops. I’ve just been looking into oils for my son who has ADHD. I have just ordered Vetiver, Frankincense and Bergamont. He is very hyperactive, aggressive, doesn’t listen and can’t focus. I bought a 10ml roller dispenser to use- how many drops of the oils should I use together and I’m using coconut oil, if you use too much of the carrier oil will it make the oils not work? You can use 4 drops vetiver, 3 drops frankincense and 2 drops bergamot in 10ml coconut oil. Make sure it is fractioned coconut oil, otherwise it will tend to solidify. If you increase the quantity of coconut oil, you can increase the essential oils proportionately. Hi My son is 8 we have been using the oils for 3weeks straight now and I have had so many great comments from his teachers and tutor, I am so happy this is working. His grades are even getting better and study his multiplication is much easier and he is getting 100’s on his Friday tests. Happy mom! This is what I do at night I do lavender, vetiver, and cedar wood in diffuser, and I run it again before school. In the morning before school, I rub vetiver on his big toe, cedar wood on neck and peppermint behind his ears. I work at the school in the lunch room so I able to roll on some lavender, vetiver and carrier oil. I have purchased Brain Power to use too. I hope this helps. That is brilliant news, absolutely fantastic. Thanks so much for taking the time to provide an update, it is really appreciated and good to share with my audience. What is Brain Power? Thank you. My son is 3 plus and just can’t sit still and always on the go. Please can you give me a receipe of exsential oils for children that I can use to quiten him down a bit . Where can I purchase them and if possible I would prefer the already diluted ones so that they are ready for immediate use. You can use any one of the recipes in the article with a higher dilution rate, i.e. use 2-3 drops of essential oil with 1 tsp carrier oil or about 10 drops EO in 30ml carrier oil. Alternatively, you can buy the kids version from PT. Thank you. Don’t worry too much about the number of drops when splitting, if there are 8 drops to divide by 3, I would go say for 2 drops especially it is for a toddler. Please let me know which recipe would you like to make and I’ll provide you with the info. You can use 1 drop each vetiver and cedarwood and 3 drops lavender and fill the rest of the 10ml roller ball bottle with sweet almond oil. My 6 yr old son who’s going into 1st grade has ADHD combination presentation of attention, hyperactivity, and impulsivity. He’s on 2 meds right now which helps most of it but his impuse control is still not the best. The meds help tremendously allowing him to be more himself because it is night and day when not taking them, but still his impulsivity and anxiety need more help and his emotions are on a rollor coaster. I would love to be able to take him off meds completely but will see how this all goes. How long does the essential oils last on the body? What area do you want to put them? My son does have sensitive skin and some allergic reactions to some things although we did try a bar stick that had some essential oils in it for stress relief/calming that he was ok with and enjoyed, but it didn’t help as much for his ADHD. What essential oils do you recommend? Is a roller the easier way to put them on? What works best for impulsivity/anger? What’s the difference with putting it on the skin and using a diffuser? Is almond oil the only oil you can use as a carrier? We have to retry my son on nuts so I wasn’t sure how almond oil would affect him? It depends, some essential oil last longer than other depending on skin type. Other factors include concentration, viscosity, whether you are using them via massage or in a diffuser, and where you applied them. Some can last for days once they are in the bloodstream. You can put them behind the ear, on the temples, back of neck, on the chest, on the wrist, and the reflexology points under the feet and toes for maximum effect. Lavender, ylang ylang, vetiver or cedarwood can be applied on sensitive skin, just dilute them in a higher ratio if you are worried and do a skin test patch beforehand. You can use roller or diffuser or topically. For anger, you can use orange, bergamot, ylang ylang, lavender, roman chamomile, rose. The application method depends on what you want treated, but for ADHD and mood effects, both inhalation or topical application are suitable. Carrier oils include jojoba, argan, olive, coconut oil amongst others. Please be mindful of the nut issue when selecting a carrier oil. Thank you for responding so quickly and answering all my questions. I do have a few more though. Should I use only one essential oil at a time or can you use multiple ones together? If you can use multiple at a time is there a certain combination that you think might work best together with what I’ve explained above? If they should be used individually then how far apart should I use them? Can you do both topically and another being diffused at the same time? Can these oils affect any medications being taken? You can use one or multiple essential oils, it really depends on you. You can follow the recipe provided in the article if you use multiple – an essential oil enhances the effect of another, etc. If you use them individually, you can alternate them every 2-3 days. Yes you can do both topical application and use in a diffuser. You’ll need to check with your doctor and let him/her know that you intend to use essential oils in conjunction with the prescriptions. You can get very good supplies from here. 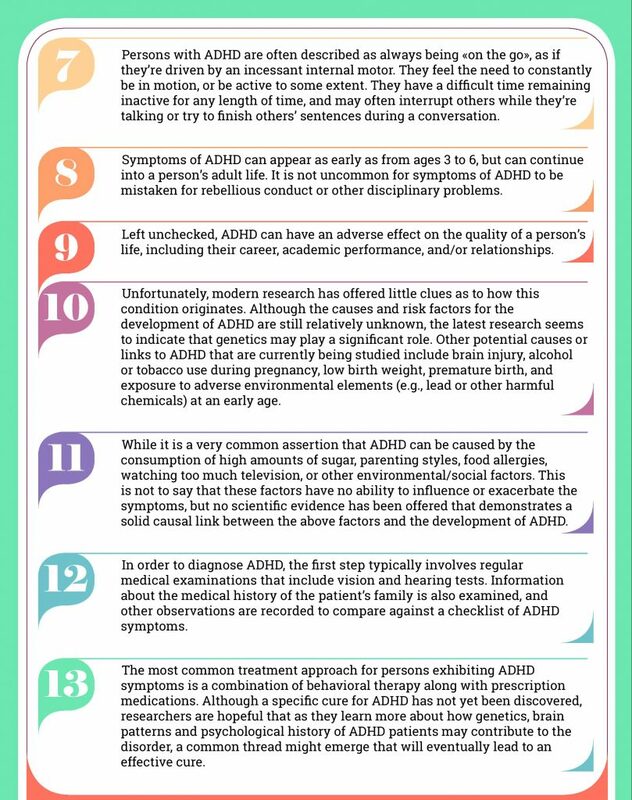 Hi I want to make a roller blend for my son who is 13 and easily distracted and off task at school (not officially diagnosed with ADHD but has the signs) and I’m wondering if I can blend several together? I see that you have cedar wood, vetiver, lavender and rosemary combo but I would also like to add peppermint (and any other helpful for oil) for memory and concentration. Is it ok to blend all of those together and what would you recommend for the ratios for a rollerball container? Indeed, you can make up the following recipe: 2 drops of cedarwood, 3 drops each of vetiver and rosemary and 4 drops each of lavender and peppermint diluted in 30ml sweet almond oil. You can apply topically and/or massage to the vita flex points up to twice a day. Would you please list the scinetific/botanical names for each oil. For example there are several types of cedar. I know the different types have different uses and indications. Thanks!!! Sure, the botanical names have been added next to each essential oil. If you have any other questions, please do not hesitate. My 4 year old is struggling to sit and pay attention on the mat at school . He would rather be picking the sand off the ground or have a lay down lol. What could I use to improve his attention ? He tells me he just can’t listen even if he tries. You could use 2-3 drops of either lavender, mandarin or chamomile diluted in 30 ml sweet almond oil and either apply to his temples once a day or diffuse one of my pure blends in your diffuser when he is at home. Either way, just be patient as he is still very young and prone to mischief at this age. You’ll get all 5 blends of 5ml each together with an exclusive carry case. My son is 5 and under assessment for spd and adhd (2 years now!) He’s a complete fire cracker. I’d heard of oils but put it off for a long time, my son is who he is. I recently purchased a vetiver sample and mixed it with aloe vera gel, more to say to my sons paediatrician I’d tried than expecting it to work.. well.. he loves it even with the strong smell and happily puts a drop on his big toes and at the back of his neck! The difference is almost immediate, I can see him calming down and can tell when it’s wearing off too, we only do morning and night – it helps him sleep!! That was unexpected!! I’m going to try a lavender, frankincense and ylang-ylang mix with the vetiver and see if the results change but as of now I’m ecstatic. It’s lovely to see the boy under the behaviours at last. Thanks so much for sharing your experience. I am really glad your son has been able to find some relief from the use of essential oils. I always say that essential oils are nature’s true gifts and a godsend. If you need any help, please do not hesitate to reach out. Hi. Is there a product for ADD (attention deficit disorder) that contains oils in one bottle? Something like L’ Orpur that is already made and easy to use? Can you recommend anything? If not, I will have to create something. I am new to all this, but I am looking for a solution for the rest of the school year for my son. Praying to God for help with this very big problem! Drugs are not an option due to possibility of long term suppression of growth and who knows what else…..Any advice is appreciated! I understand the gravity of the issue and how hard it can be to deal with ADD. I have already said a BIG ‘NO’ to drugs years ago due to unknown long term effects, addiction, etc. I prefer a more sustained long-term approach. 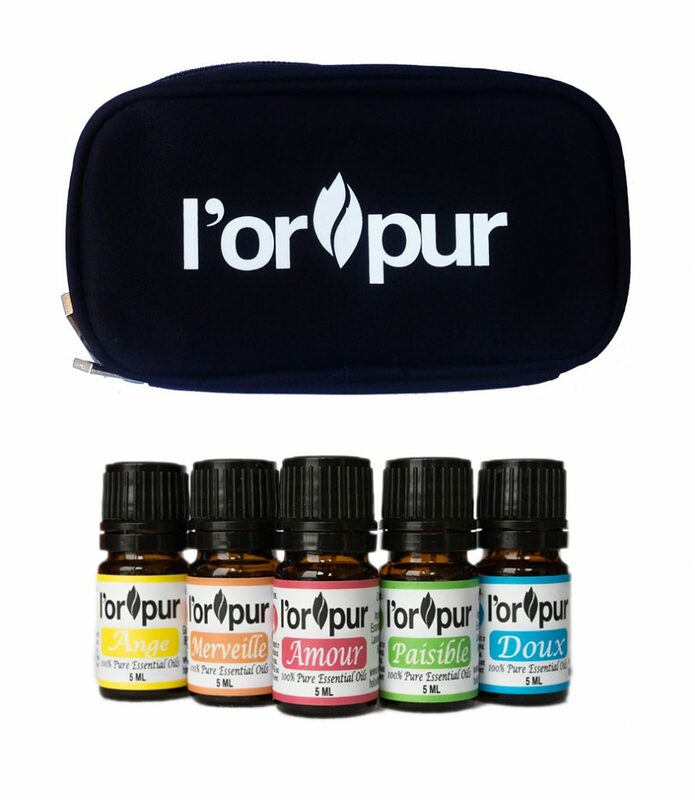 There are no ready-made essential oils as such for ADD, but what I can recommend is using the L’orpur 5 blends kit that I have developed. This should help with concentration, staying focused and organized, emotions, hyperactivity/restlessness. Perhaps you would like to try the kit as they are all excellent 100% pure essential oils and come in a carry case. I am new to using oils. I am going to try vetiver for my son. I want to make it as a roller right now. I saw that it says to mix with sweet almond oil. Do you have any recommendations on a brand of almond oil to buy? What should I look for in my carrier oil? What should I stay away from? Also, if I wanted could I make a mix of cedarwood, lavender and vetiver? How much of each? Would you recommend just starting with one oil and see if we notice any difference and then add the second and then third or should I just make a mix of all 3 right from the get go? The plan is to use this after school. This is to help him stay calm and focused while his meds are wearing off and help him sleep at night. I don’t want to add an afternoon medicine or increase his regular dose if we don’t have too. Sure, for your roller, you can use 15-18 drops of vetiver diluted in 30ml sweet almond oil. I would go with AMOILS, please refer to previous link, there are no nasties in AMOILS products, so nothing to worry about. You could also try 3 drops of cedarwood, 5 drops of vetiver and 8 drops of lavender diluted in 30ml sweet almond oil. It really depends as some essential oils work best on their own, however in your case, I would perhaps use a combo of the 3 essential oils as each one will enhance the effect of the other. For sleep, you could try H-Insomnia as it is a very gentle and soothing blend. I have been doing some research on these three oils recommended for ADHD however no one has recommended the quantities even when asked. So firstly many thanks in replying to Jaime’s question (January 3, 2017). As my son has ADHD inattentive can you please advise if the 3/5/8 would be the same? He can become anxious however is able to control it at school (at home he lets his true self show). I would like to use the oils for focus so I wasn’t sure if the lavender would make him more inattentive/relaxed. Also I would like to add rosemary to assist his memory. He is 11.5 years old so I’ve read that it is safe to use rosemary when a child is over ten. Can you please recommend the numbers of drops to add to this mix? I fully understand the behavior of kids at home, mine are no different! Please drop the ratio to 2/3/6 drops in 1 ounce of carrier oil as I normally recommend higher dilution for kids to start off. If you are not 100% happy with adding Lavender, you could try lemon or peppermint instead. Sure, rosemary is perfectly fine to add; 2 drops to the above mix. If you need further assistance, please do not hesitate. I just bought cedarwood, lavendar, vetiver and Frankinsense for my son who has ADHD. I’m trying to figure out how to mix them into a roller in order to apply them on his feet. Can you please advise me as to how much to mix of each kind of oil? Thank you. Please use the following ratio: 12 drops lavender, 10 drops vetiver, 8 drops cedarwood (optional: 5 drops frankincense) diluted in 2 ounces (60ml) sweet almond oil in the roller. You can apply up to three times a day. Make sure to do a skin test patch before application. You can also use in a diffuser from time to time. Please refer to the article below which may potentially assist. If this is not what you are after, let me know and I will try to assist further. I am looking for instructions on how to used vetiver, valor11 and cedarwood oil for my ADHD daughter. Please refer to the article below for more information. If you need further help, please let me know. Hi there! Thank you for such valuable information! I’m determined to help my son with his focus and emotional balancing this summer before he starts 2nd grade! I have some of these oils and will be making him a roller blend. I saw you mentioned to diffuse one oil at a time, but I hope a roller mix of 3 is effective too – we are on the go much of the time and I’d like to roll it on him when we are out the door or out of the house. The nightly bedtime foot massage sounds just like what he may need! Thanks for the information. You are welcome. Sure, no problems with making a blend of 3 essential oils for diffusing. If you need more info. or advice, please drop me a line. very cool! I am a Holistic Nutritionist and will be focusing on ADHD and Autism. I raised a child with ADHD/Tourette’s and wished I known this back then! If you need further help, please do not hesitate to drop me a line. I am a teacher. I have a student in my class that her mother puts oil on her for adhd. It smells so strong! I have to open the windows (and it’s Winter) and not only does it give me a headache but makes me (and other students) “stuffy”. It doesn’t seem to work on the student either. Not a fan!!!!!!! Thanks for your “kind” words and for sharing your opinion on essential oils. I am sure the mother is doing her best to try overcome her son’s ADHD problem. Thank you for your informative comment. I praise you on the fact that you are determined to get education despite your condition. It is absolutely fantastic to know that lavender essential oil is able to make such a difference in your life. All I can say is keep up the excellent grades in your class and more importantly look after your health. If you need any further assistance, please do not hesitate to get in touch. Very interesting article on ADHD and more natural ways to treat it other than medications. I am wondering about the studies you cited in your article. I am currently taking an aromatherapy class and would love to share this information with them. Larry Plummer’s introduction to essential oils. Twenty years ago, I was diagnosed with what was then known as ADD, or Attention Deficit Disorder. 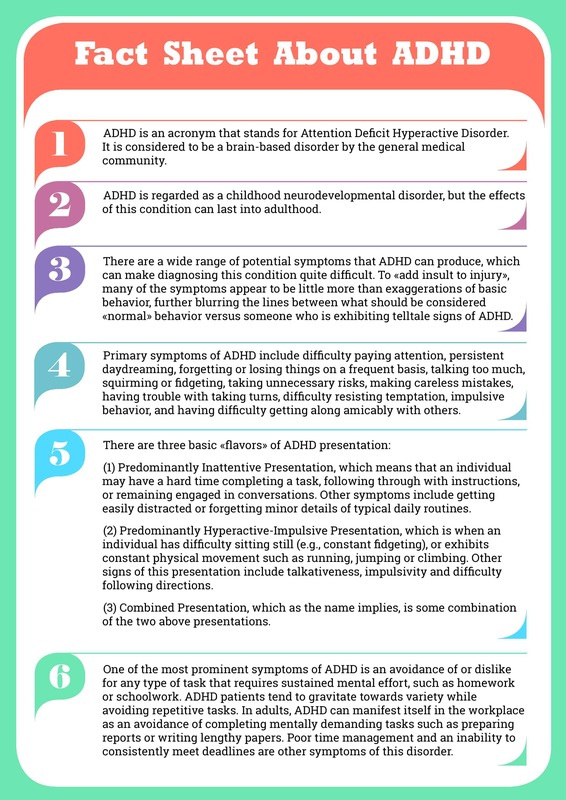 It has since been reclassified and is now referred to as ADHD-PI, or ADHD Predominantly Inattentive. They can call it whatever they want, but those of us who have it, are easily distracted, “Squirrel!” 🙂 We are more forgetful, so I write down everything I need to do every day. We daydream to the point that it irritates our spouses and our employer. We are disorganized unless we write it down, and we find it hard to concentrate and have difficulty completing tasks because there are too many things going on all around us that makes our head spin out of control unless we get some help. But back in the 70’s, I didn’t know what ADHDI-PI was, or Ritalin, for that matter. So, I quit high school, and got my GED years later. I completed only three out of four semesters of college, not getting my Marketing degree in Business Management. So, over the years, I was not able to keep a job, until Ritalin came along. I had been on Ritalin for twenty years. Because of this wonder drug, I have had my current job now for nearly 14 years. However, I am tired of being controlled by drugs. The total dependency on it has been exhausting for me. At times, not every day, it was sometimes difficult to even leave the house, for work or a vacation, if I didn’t have my medicine. Hence, I would return home many times over the years, to get my medicine. Recently, a close friend helped me to discover a replacement for Ritalin. Essential oils. Yes, I must admit, Ritalin is stronger and keeps me focused more sharply, but I’ve been on it for twenty years! My brain has not been able to function on its own. This is now all changing. After only having been off of Ritalin for just one month, I felt like my old self again. My brain forgot what it was like to have to think and concentrate on it’s own. But thanks to essential oils, more specifically, thanks to doTerra’s InTune, Balance, Vetiver, Frankincense, and my all time favorite, Citrus Bliss, I am able to accomplish my work, and stay up late because I can, without crashing because the drug finally wore off. Yes, I still get distracted, but my brain is retraining itself; the roller coaster ride is over; no more peaks and valleys; no more highs and lows. My brain is learning once again how to function without the use of a drug, that made me focus, made me stay awake, and made me dependent on the drug, if I and everyone around me was to be happy. I went off Ritalin completely in August 2014 and stayed off it for 9 months. Then, in part due to what I’ll call workplace harassment I have used Ritalin ever so often. The harassment was an over reaction by a couple of fellow workmates, who got wind of the essential oils and went on and on and on about how I stank. They would put their hand over their mouth and nose, running by on the opposite side of the hallway and, it seemed to be funny at first, but became an absolute irritation. There were days, up to a week or more that went by with me wearing absolutely no oils at all and the men I worked with would swear they could smell it. It was outright harassment! So I went through a period of No Ritalin and No Oils. Ever so often, sneaking on some oil to help me focus. But it was not enough. I needed either the oils or medication everyday. So for the last 3 months I’ve been building up the courage to just take care of my self and ignoring the insults. I’m finally wearing the oils full time again. Plus I deliberately avoid the harassers. I’m sure my other work mates can tell, but they are too kind to say a word. Funny thing is, no one ever says a word when they smell strong aftershave or a muscle aching ointment on a fellow workmate. But boy oh boy are some quick to react to some of the oils. I truly love what the oils can do for me. Maybe you too, or someone you know, can also benefit by at least considering what essential oils can do for you, or for them. Meanwhile, we can raise the quality of our lives because we know we are doing all we can to take care of ourself and not entirely dependent on others or unnecessary or needless medications. Thanks for sharing, Larry! Essential oils smell wonderful. I’m glad you are back to using them and ignoring those guys. You have to do what is right for YOU. Just a thought–essential oil are of a very high vibration. The reason those two are put off them is that their own vibration is so at odds with that of the oils. But again, that shouldn’t stop you! My son has ADHD and is on a med. I’ll send him info on this and hope he will pay attention. I had no clue how to use essential oils for ADHD treatment, I didn’t even know this was possible. My nephew was recently diagnosed with ADHD and we’re looking for a natural treatment instead of the usual stimulants and nonstimulants meds. Thanks for sharing these!